I'm still really enjoying playing Infinity, so it was time to start up a new army for the new year! 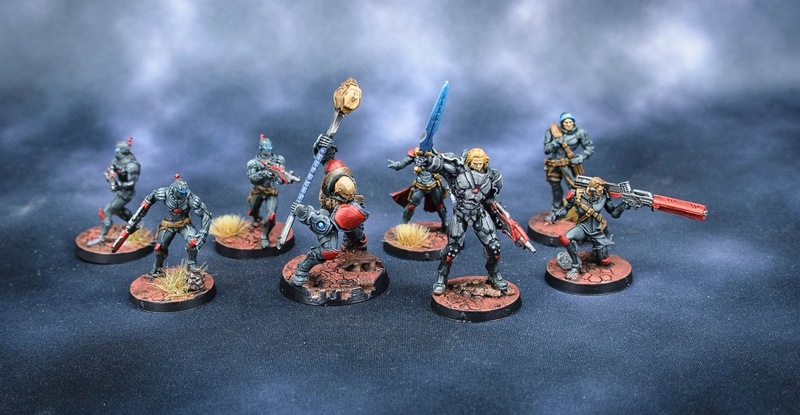 Of course, it being Infinity, and a skirmish format, I was able to paint up an entire army over the course of a week. This time out I'm tackling an Aleph force. I went with a force for the Steel Phalanx sectorial, lead into battle by the mighty Achilles and Ajax. I'm slowly but surely getting better at painting the smaller 28mm scale of the Infinity models, so I was happy with how this small force turned out.